Who is Social Futures ? Social Futures is one of the largest Not-for-Profit organisations in NSW with upwards of 440 Million in funds. Social Futures’ is a social justice organisation and their work encompasses homelessness and housing supports, youth and family services, programs that promote genuine participation for people with disability, community sector support, professional development, and systemic advocacy. 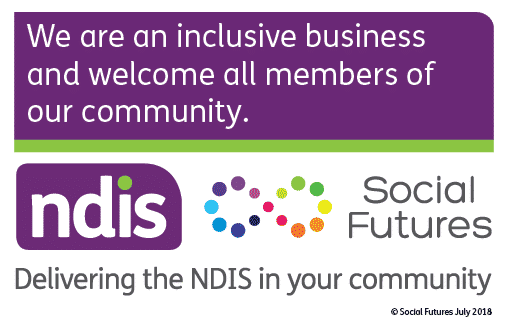 As the Local Area Coordination Service Provider (LAC) for the National Disability Scheme (NDIS) Social Futures have the mammoth challenge to connect participants to the NDIS in regional New South Wales. What did we do for Social Futures? 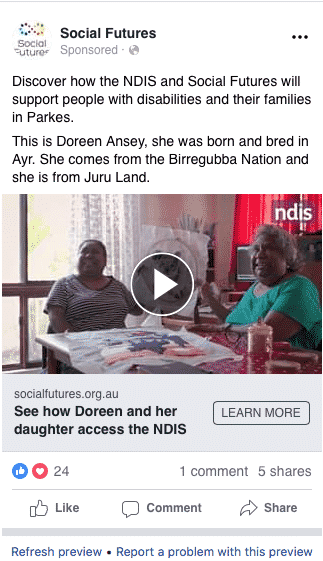 The aim was to create a digital onmi-channel marketing campaign to not only inform the wider community but to ask potential participants of the NDIS to come forward and check if they are eligible for funding. We created a comprehensive PPC strategy across 7 regions with 3 different target audiences in mind. 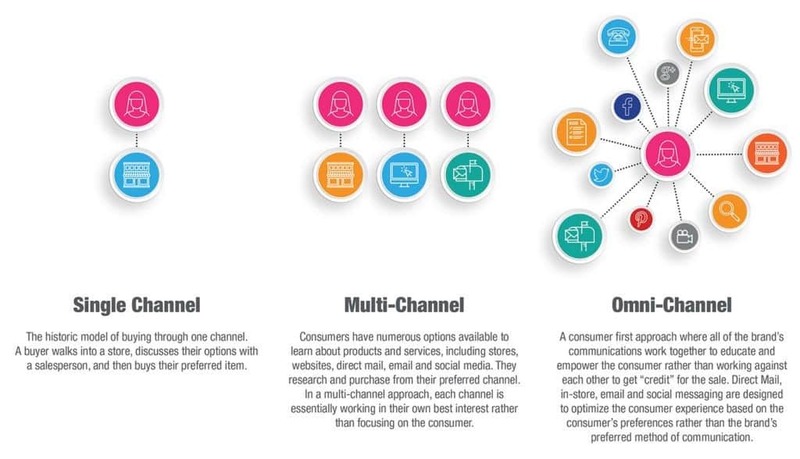 In omni-channel marketing, the recipient is in the center of all marketing activities and is targeted with messages that are relevant, personalised and valuable. Smart content and repeating messages across all channels were key. The campaign outcomes from late August until early October show that consistent messaging can bring about positive results to a diverse target audience. We learned that the indigenous community loves social media and enjoys interacting with content which is personalised and localised for them and those they interact with. 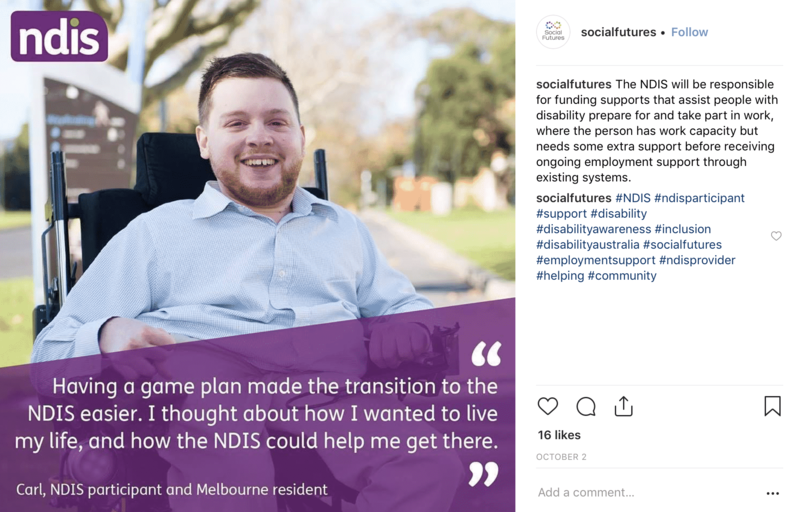 Although we cannot publish any participant data, we can let the reader know that we had a significant amount of NDIS inquiries during the campaign duration with 36% of all people coming forward being identified with a significant/permanent disability and in the right age group to be eligible for the NDIS program.